By searching online I found a second hand copy of “Tenmoku” in Switzerland and had it mailed to me. 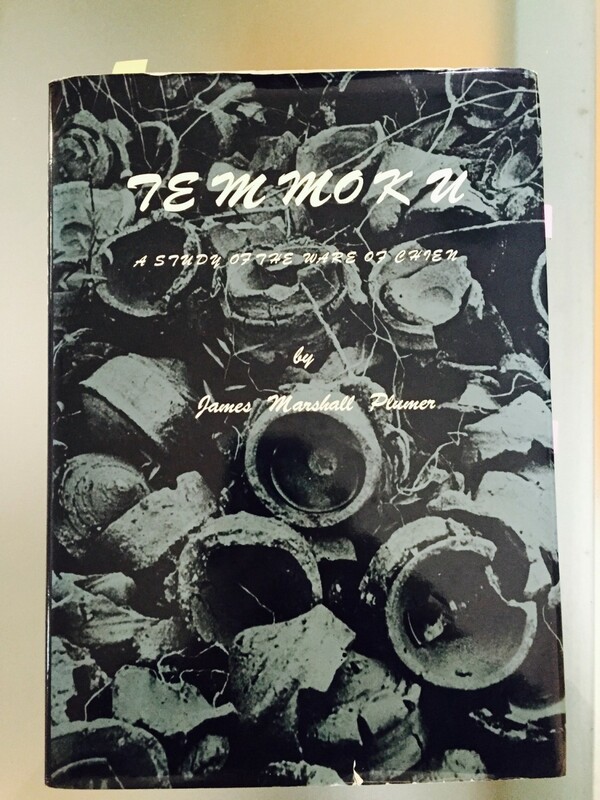 This book and its author’s journey has become a major focus for me, James Marshal Plumer; the person who discovered the site where Tenmoku was born. After reading his book I began to plan a trip my to China to the site of his initial 1935 excavation, to explore it for myself. Part of my thesis is that as a potter, I bring a maker’s eye to this research, a new vision that could add to the knowledge of Jian Ware, by finding the materials the Jian potters used to make it; their clay, glaze and kilns. New ground, the gap, a fertile field for research. In November 2014 I travelled to China and followed some of Plumer’s journey; his was an arduous 2 weeks, interrupted by bandits, flooded waterways and obstinate officials; mine was a less arduous 10 hour trip by train. I was able to do excavations for shards, collect mineral samples for analysis, visit local collectors and see current pottery workshops and kilns. A wonderfully successful trip but I was now left with more questions and I knew I would have to return. Back in Australia I began to prepare for a trip to the US to explore some of the questions raised in China. Using the Mowrey’s book as a guide I contacted the University of Michigan Museum of Art, Harvard Museum of Art, The Boston Museum of Fine Art, the Metropolitain Museum of Art in NYC and the Museum of Asian Art in San Francisco. This was a complex set of negotiations and communications stretching my organisational skills. With a good list of museum visits organised and ANU funding I booked my trip. 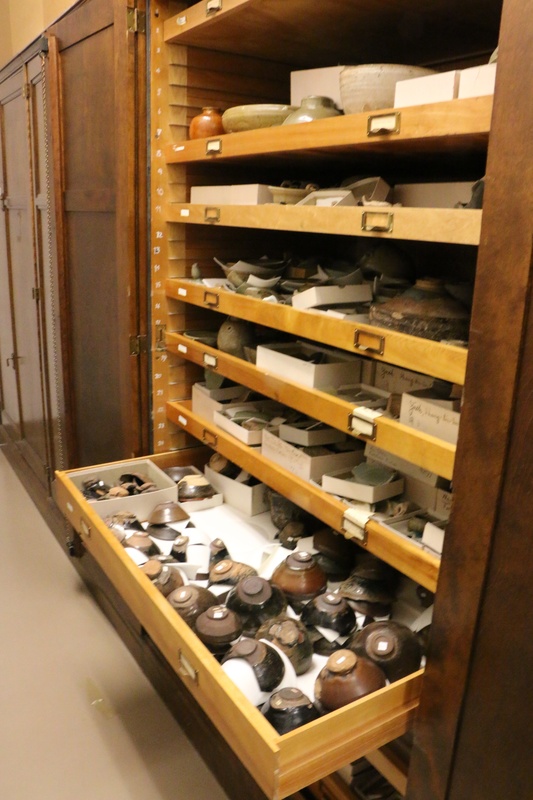 Just before I left I received an email from the curators at the UMMOA asking whether I thought to contact their Archeology Department, as they thought Plumer’s shard collection may have been there. This was one of those magic leads that cropped up again and again during my trip and, confirming that this was indeed the case, I immediately rearranged my schedule to fit in a day in that Museum. Earlier I had been searching the archives of the University of Michigan’s Bentley History Museum hoping I would find some of Plumer’s papers and through the wonders of internet searches discovered that they had two such boxes, so I again made arrangements to get access and spend a day in those archives. Arriving at the Bentley I was presented with two boxes. You can guess how excited I felt when I opened those boxes. They were a treasure trove of writings, photos and much, much, more. When I opened the first box, at the front were 10 bound volumes, from 1920 to 1929, of Plumer’s letters to his mother in the US. As a cultural history of expatriate life in Eastern China in the 1920s they are priceless. The little I read of them suggested they alone were worthy of a History PhD, or maybe, a book for me at a later time. Behind these were album after album of photos of social events, people and travel in and around China in the 1920s. Fascinating, a return visit beckons. 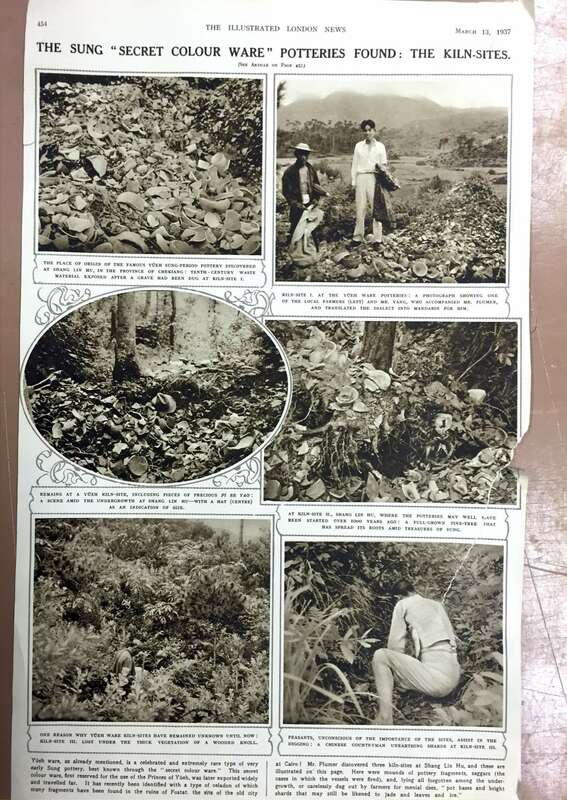 It was when I opened the second box that my pulse began to race, the first bundle I pulled out was the original manuscript for Plumer’s book with all his photos, drawings and maps. The manuscript was annotated with many handwritten notes and corrections for the publisher. The page from June 27th 1935, heading at the top El Dorado! 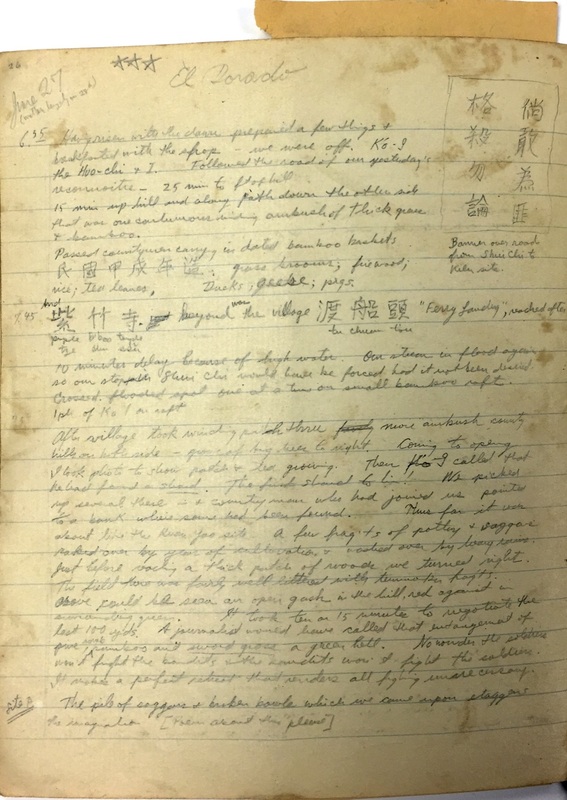 I dug a little deeper and hidden between two photo albums was a small Chinese School exercise book and as I opened it I shuddered with the realisation that I had in my hand the original notes Plumer wrote as he travelled down to Shuiji from Shanghai in June of 1935. I skimmed through them barely able to hold the pages still until I came to the top of the page for June 27th were Plumer had inscribed the words El Dorado! 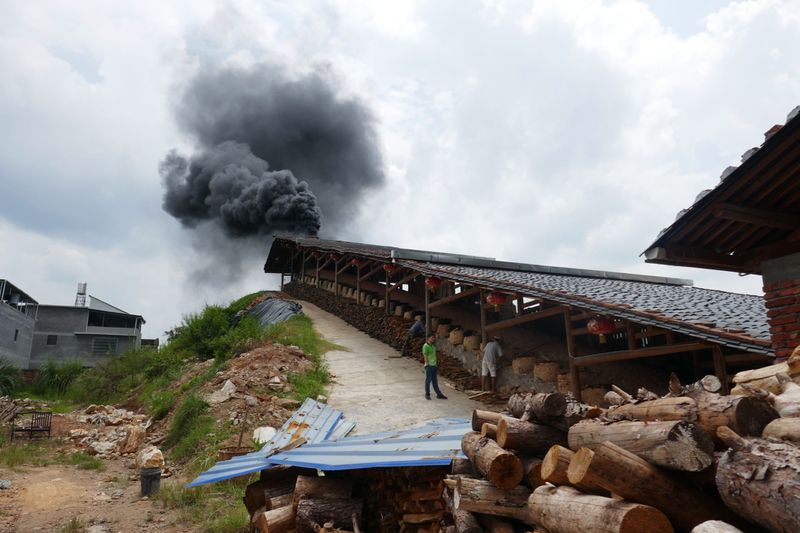 Further down the page was a description of the walk out from Shuiji to the valley a few kilometres away where the kilns and the shard heaps were sited. The very journey I had completed in November. Next PostNext Rust never sleeps!